Coast Maura Print Scuba Maxi Dress is rated 3.8 out of 5 by 6. 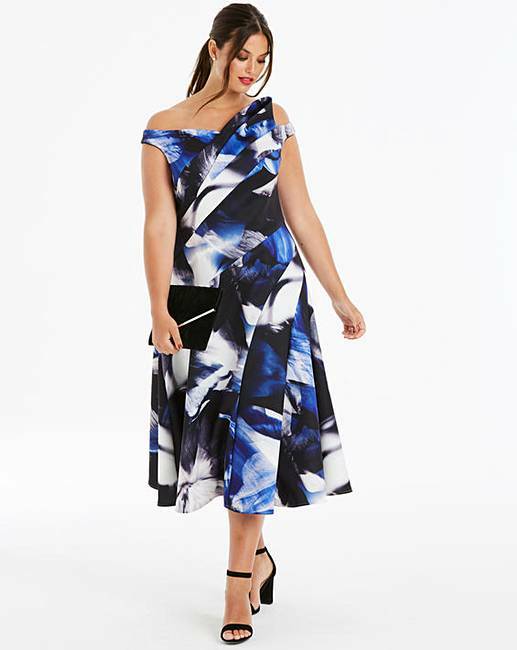 Make an entrance in the Maura Print Bardot Dress from Coast. 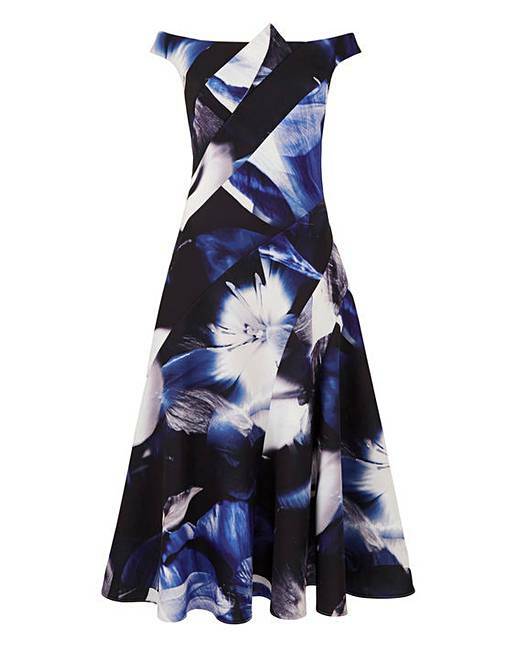 Wrapped in a striking graphic print, it features a sculptural bardot top and full midi skirt. Cleverly cut for a flattering effect, it looks good from every angle. Length from centre back to hem 44in/112cm. Rated 5 out of 5 by looloo from I am gutted!!!! Firstly let me say this dress is beautiful and really good quality. I wanted it for my Granddaughter's wedding and trying it on it fitted well and was very slimming but the shoulder straps did not do it for me laying neither on or off the shoulders they just didnt feel safe enough for me to be comfortable in, I must say I was gutted as I felt like a million dollars in this dress but unfortunately had to return. Rated 5 out of 5 by Denise Yorkshire lass from Love this dress. I bought this dress for my sons wedding. It fits lovely. Very flattering style. Rated 2 out of 5 by Smartizan from Not what I expected This was to be for a wedding. It fit was not good. Too long from waist to top meaning top half didn't hang properly. Very heavy.